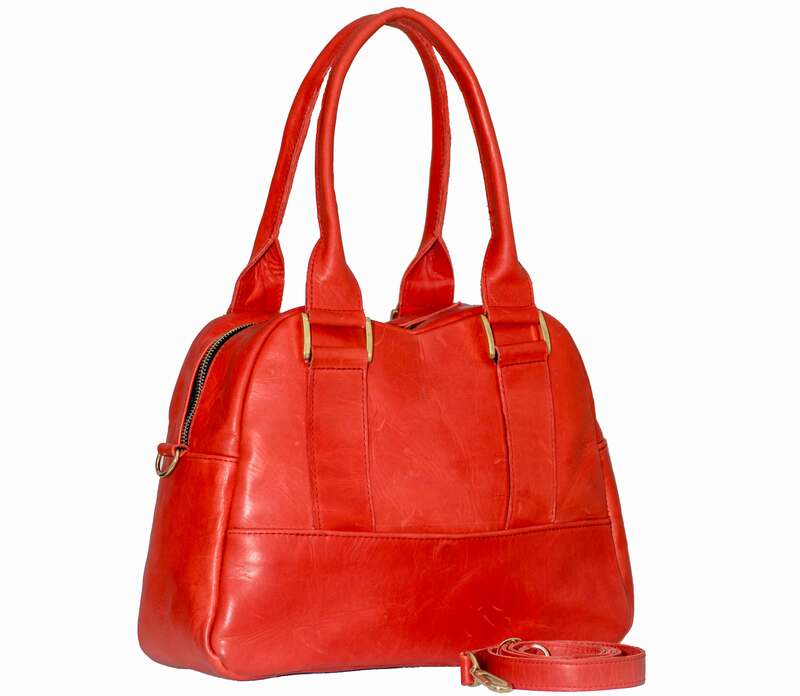 Striking handbag with detachable long shoulder strap. Made from the finest chrome-free leather. Can be worn as a cross body bag. Features small front pocket, rear zip up pocket, internal zip up pocket and patch pocket.